This display contains 12 mystery bags. Each bag has 1 bag tag inside. Tomy Gacha - The Sonic the Hedgehog Bag Tags have a character on one side and a card contact details insert on the reverse. 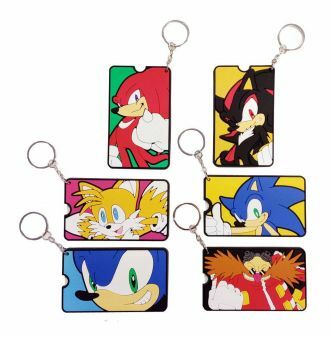 6 Sonic the Hedgehog bag tags to collect Each pack includes1 Sonic bag tag. Collect these cool bag tags to personalise your bag, pencil case or anything you can hang it to.